Crafted into a Finished Masterpiece! Your Unique Concept Sketched and Crafted into a Finished Masterpiece! Whether it’s for a new Mom, or celebrating a 1st grandchild: jewellery commemorates an important occasion like no other gift. But how do you know what she wants if you plan to surprise her? And how do you ensure you don’t over-pay for a low quality piece? Read our great tips to get her a lasting gift she'll love! Arax has been trusted for over 45 years to provide quality service and the most exquisite custom made jewellery in Toronto, Ontario. We are a family run business of both designers and artisans, trained as gemologists, certified appraisers, and goldsmiths. We originated in St. Catharines in 1971, and are now located at York Mills and Leslie where we offer specialized and gorgeous jewellery design. We are skilled designers, we restore vintage jewellery, and offer expert jewellery repair services on site. We will sit with you to sketch and design your very own personalized work of art, then we will handcraft your unique wedding bands, engagement rings, gold and platinum jewellery, and diamond rings. Toronto locals will also be delighted to learn that our workshop is on-site, giving you a unique opportunity that other stores in the GTA don’t offer: you can experience the entire journey of your special customized piece from inception, to design, to creation. The history of Arax Jewellery is in jewellery design and creation. And this continues to influence everything that we do today. We are both artisans and jewellery designers, so Toronto residents can expect not only exquisite workmanship, but also exceptional customer service. 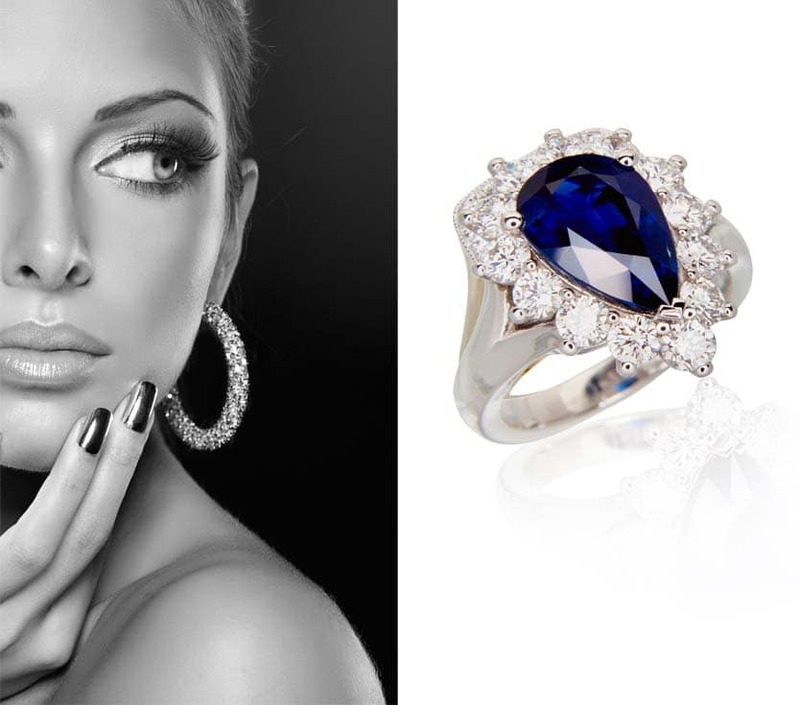 Whether it is diamond engagement rings, gold and platinum jewellery, or vintage earrings, we know how to help you. Talk to us about what you have in mind and we can then turn this into a reality. It’s is not just about buying an item. The right piece brings emotions, creates memories and establishes who we are. As a family, this holistic understanding is fundamental to what we do. For this reason, so many of our customers continue to visit us, and indeed are our friends. A majority of our diamond rings and other diamond pieces are made in-house by Eddie, Shant or a select few goldsmiths selected for their talents in diamond setting. Are you partial to the traditional white, blue diamond, pink diamond, or black diamond engagement rings? Do you like the Princess Cut Engagement Ring or does the Emerald Cut, Oval Cut, or Pear Cut catch your eye? 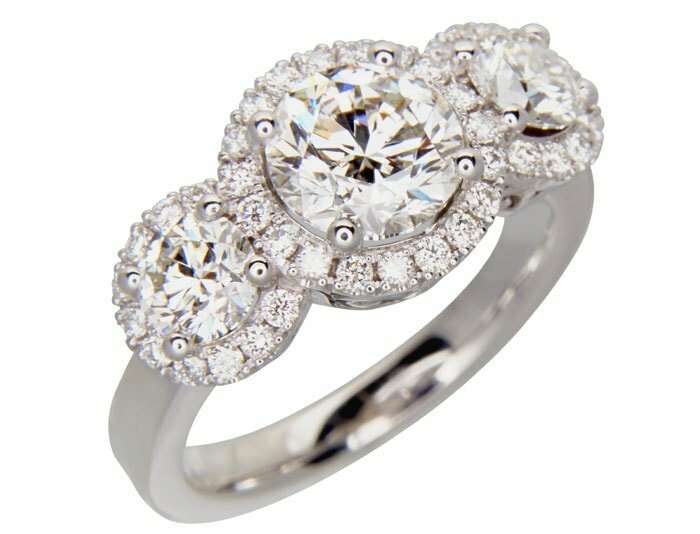 Perhaps you prefer the halo engagement ring style, or maybe you’re partial to the pave’ diamond ring. Whatever your preference, we can give you everything you want and more. That is the benefit of expertly crafted completely customized artwork from experienced jewellers! Call or visit us today to begin creating the perfect memory for you and your loved one! What Sets Us Apart from Other Toronto Jewelry Designers? The specialized customer experience, along with the unsurpassed quality of our workmanship, are what make us one of the best jewelry stores Toronto has to offer. We have an unmatched collection of custom jewellery on display and can work with you to create something special that is as unique as you are. Quality craftsmanship that can only be taught from one artisan to another, from father to son, through demonstration, apprenticeship and a genuine love of the craft. Service beyond expectation. Every customer of Arax becomes a member of our family. Your satisfaction is our guarantee. Our designs are creative, functional, and unique. Design and Creation of your fully customized piece is done on-site, giving you a unique customer experience not available at other locations. For many of our gold collections, we ensure that we work hard to source and import the best designs from Italy and other European Countries, as well as South America. We have collections that can’t be purchased anywhere else in Ontario, or even in Canada. If you’re looking for unique gold or European jewellery that’s of the latest fashion, we definitely have something for you!